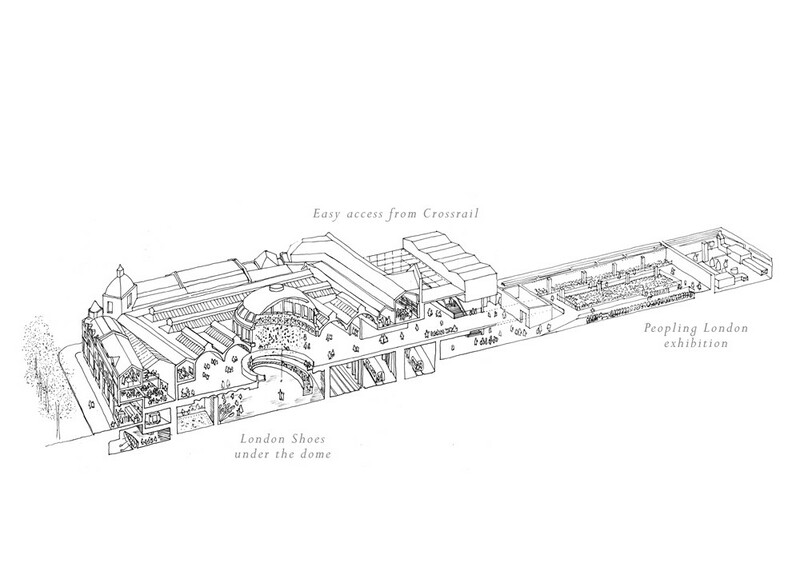 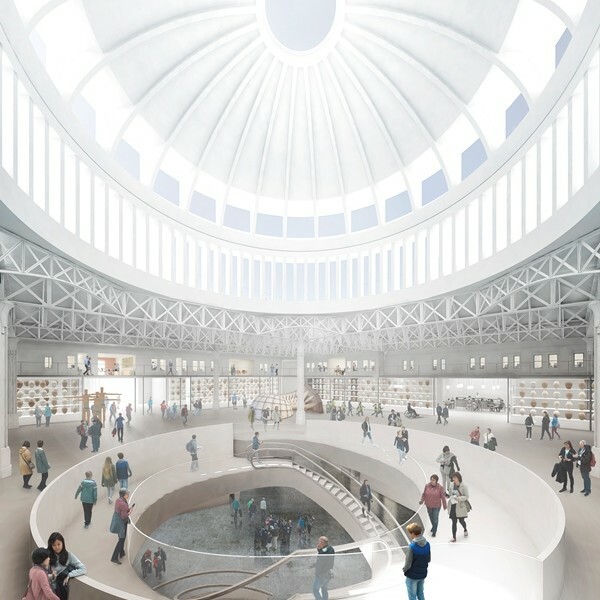 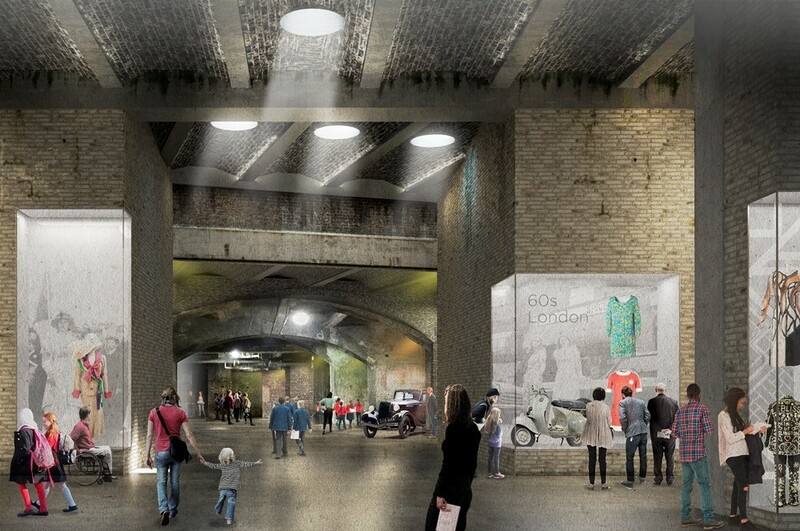 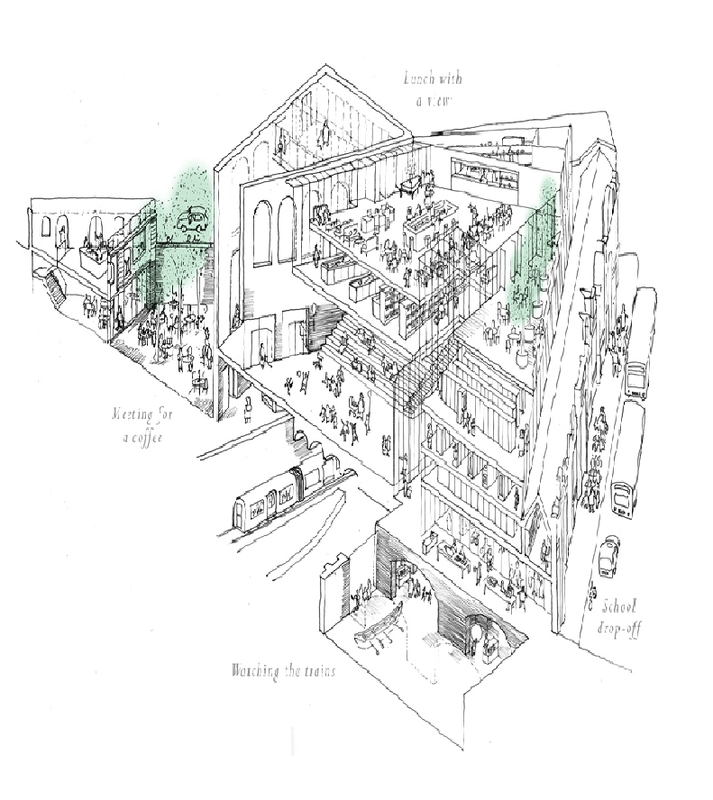 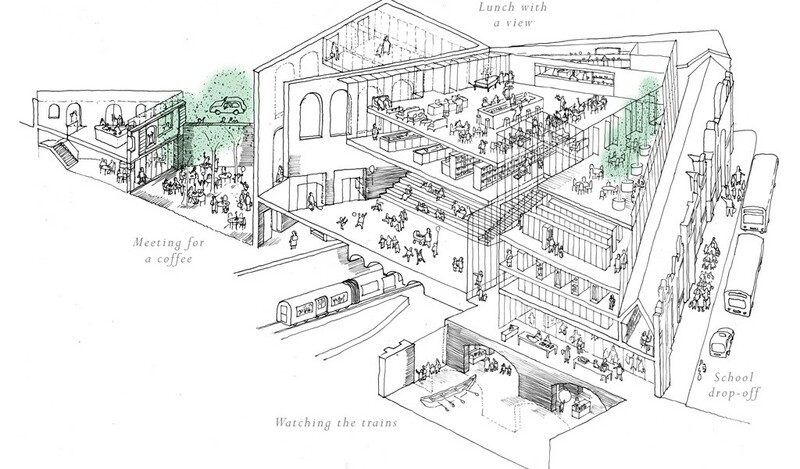 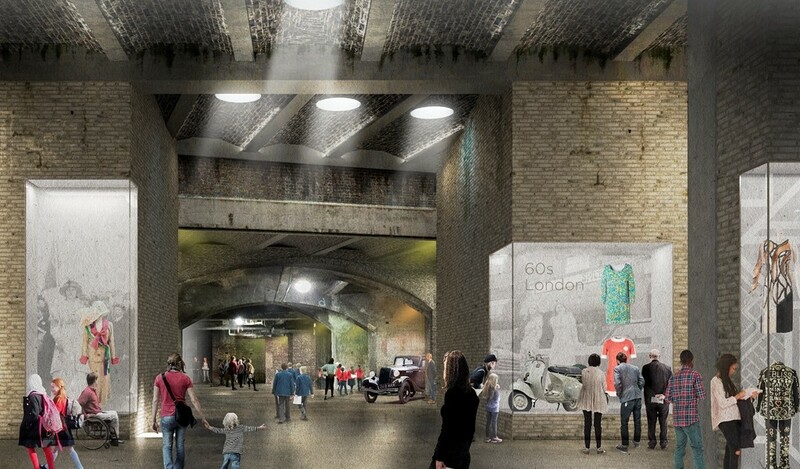 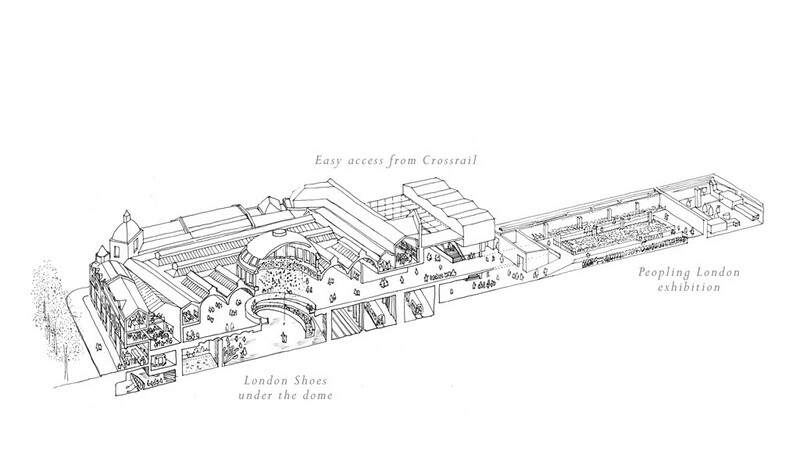 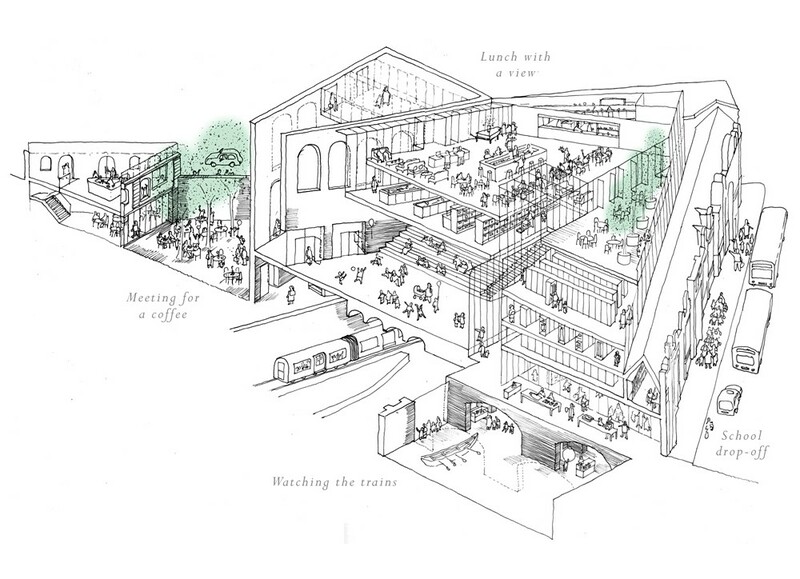 Their vision for the new 25,000 sq m Museum of London at Smithfield General Market, which includes the Fish Market, the Red House and the Engine House, ‘balances a crisp and contemporary design with a strong recognition of the physicality and power of the existing spaces of the West Smithfield site’. 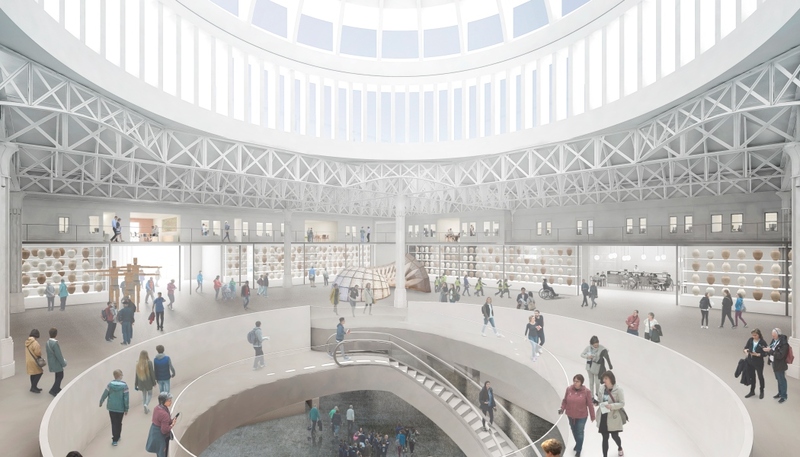 With a £130-150m construction budget their early stage concept envisages a new lifted landmark dome which would create a light-filled entrance to the museum; spiral escalators transporting visitors down to the exhibition galleries in a vast excavated underground chamber, flexible spaces that can serve as a new meeting place for London and a centre for events and debate as well as a new sunken garden and green spaces to provide pockets of tranquillity. 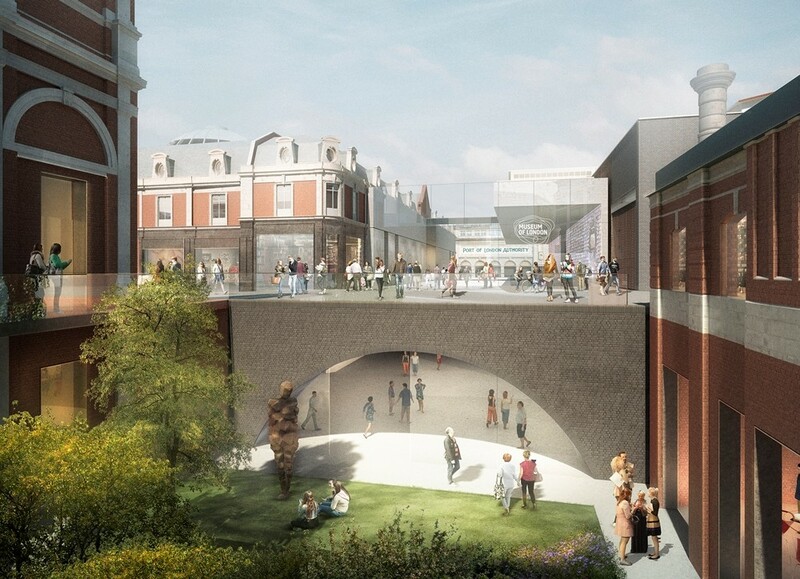 They were selected from a shortlist of six architectural teams by a panel of well-known figures from the world of the arts, media, property, architecture and business, chaired by broadcaster and economist, Evan Davis. 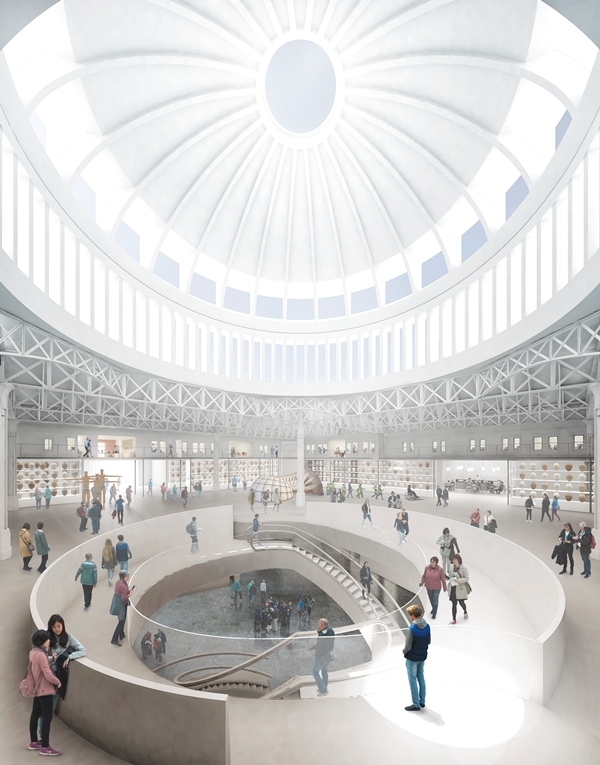 According to the judges of the international design competition organised by Malcolm Reading Consultants, Stanton Williams and Asif Khan were chosen on the basis of their innovative thinking, sensitivity to the heritage of existing market buildings and understanding of practicalities of creating a great museum experience. 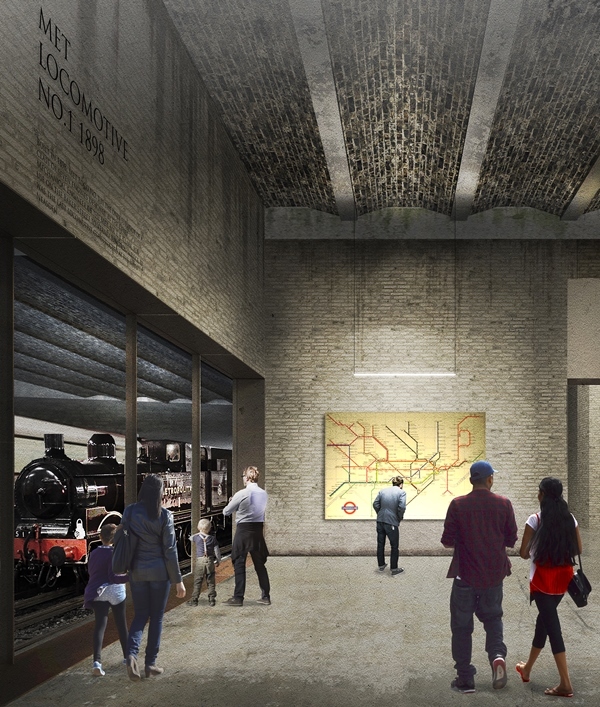 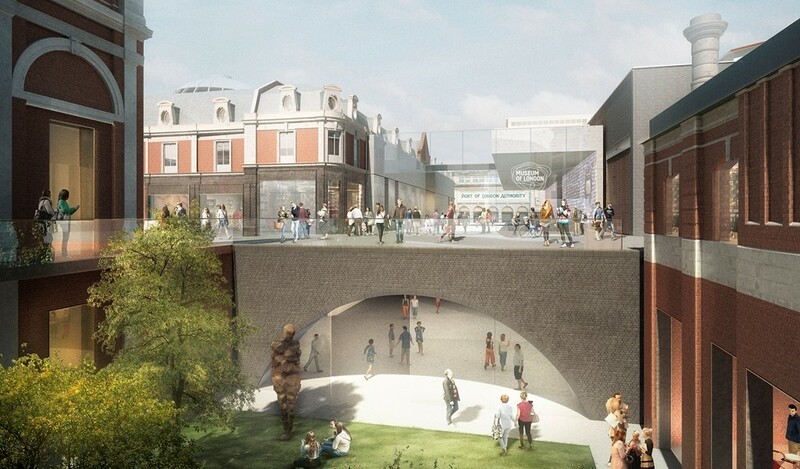 A public exhibition displaying the shortlisted design concepts for the new museum at West Smithfield will remain on display until September 11 2016. 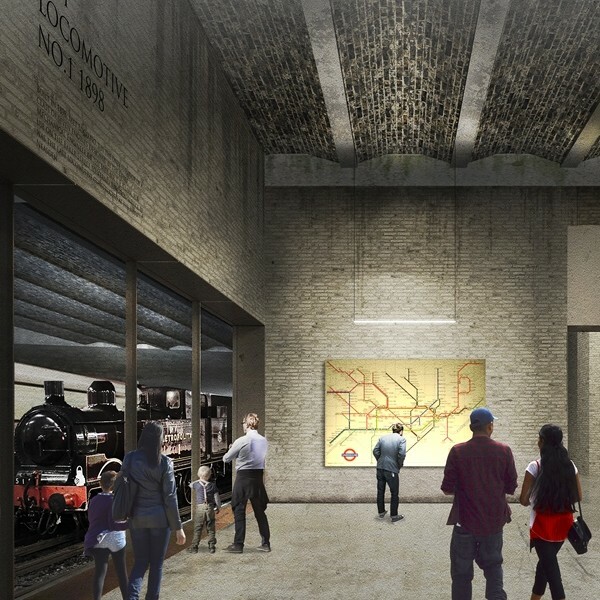 Full details are available on the museum’s website. 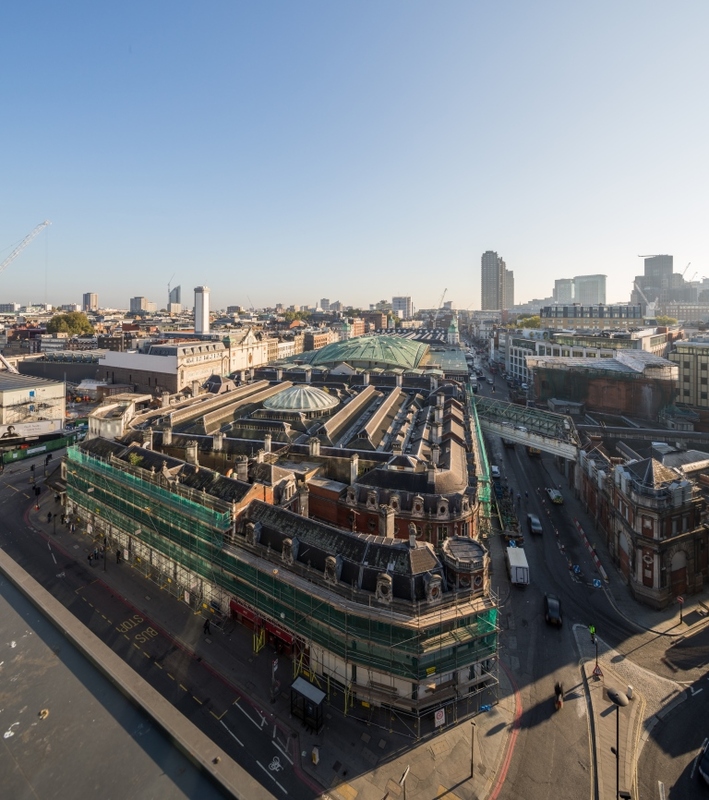 Sharon Ament and Paul Williams will be giving a free, public talk about the project with New London Architecture at the Building Centre on 12 August 2016.